Checked out the newest earthquake update and saw a long list of Bohol churches, chapels, and convent that were destroyed or have sustained varying degrees of damage. I counted 22 churches, seven chapels, and a convent. I’m not sure, though, which of these structures are heritage ones. 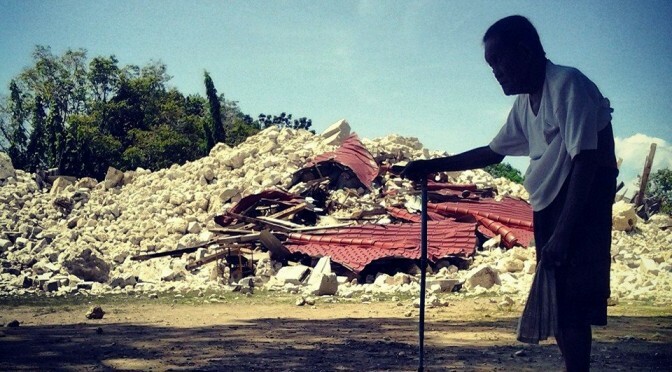 It has been reported often enough that the San Pedro Church in Loboc collapsed while the churches in Maribojoc, Loon, Baclayon were destroyed as well when a 7.1-magnitude earthquake with its epicenter in Sagbayan, Bohol occurred on October 15. The list did not give any details of the extent of the damage to the structures. In Cebu, the two bell towers of the Basilica Minore del Sto. Niño collapsed, belfry of the Cebu Metropolitan Cathedral was damaged, Dalaguete Church sustained multiple cracks, cross at Malabuyoc Church fell and was damaged, part of the walls of the Dumanjug Church collapsed, cracks appeared on Bogo Church and Dalaguete Church walls. There were earlier reports of damage to the facade of the Pardo Church and belfry of Argao Church. Two spires of the Iglesia ni Cristo collapsed while one spire sustained cracks, according to the report. There’s a long list of destroyed and damaged public and private infrastructure, government buildings, schools, and hospitals. Affected were city or municipal halls, airports and seaports. Over 8,000 houses were destroyed while close to 26,000 others were damaged in Bohol, according to the NDRRMC report. The council estimated damaged roads, bridges, and flood control in Cebu, Bohol, Negros Oriental, and Siguijor at more than half a billion pesos. The number of those who died has risen to 183 while 583 others were reported injured, according to the report. There are still 13 people missing in Bohol. Marlen is the editor of MyCebu.ph and co-founder of Cebu-based journalism startup InnoPub Media.